The Bondi Sands Everyday Gradual Tanning Milk with dual action formula moisturizes and nourishes your skin while you enjoy a beautiful golden glow throughout the year! This milk is enriched with antioxidants, Aloe Vera and Vitamin E. These ingredients ensure that your skin stays healthy. 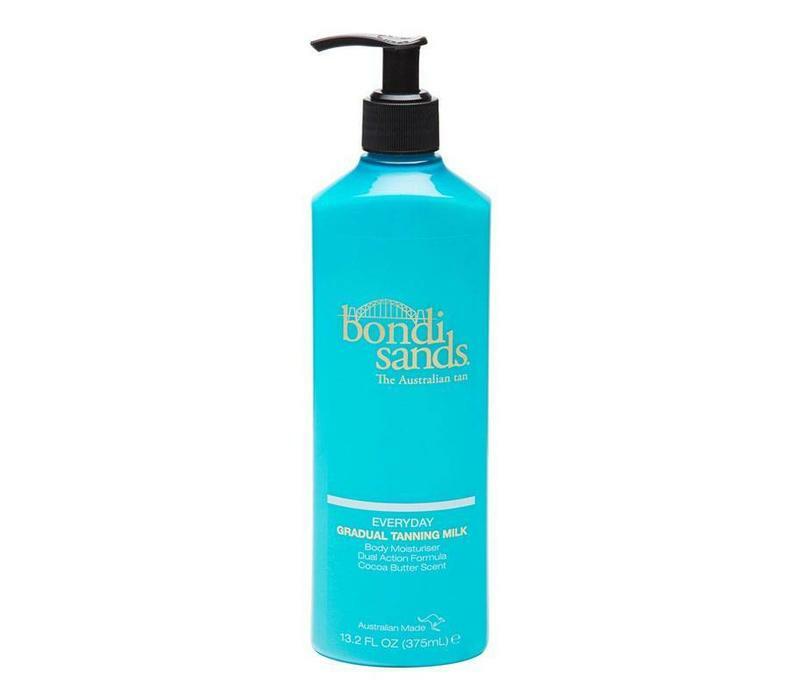 Are you looking for a tanning product that you can bring on easily and fuss-free, this tanning milk is perfect for you! With this selftanner you have a healthy glow. Cleanse and exfoliate your skin. Apply a generous amount of milk onto a tanning mitt. Spread the milk over your skin with circular movements, paying extra attention to your hands, elbows, knees and ankles. Let the milk dry before you dress up again. Use the milk every day to enjoy a beautiful complexion all year round. Wash your hands well after applying the tanning milk.